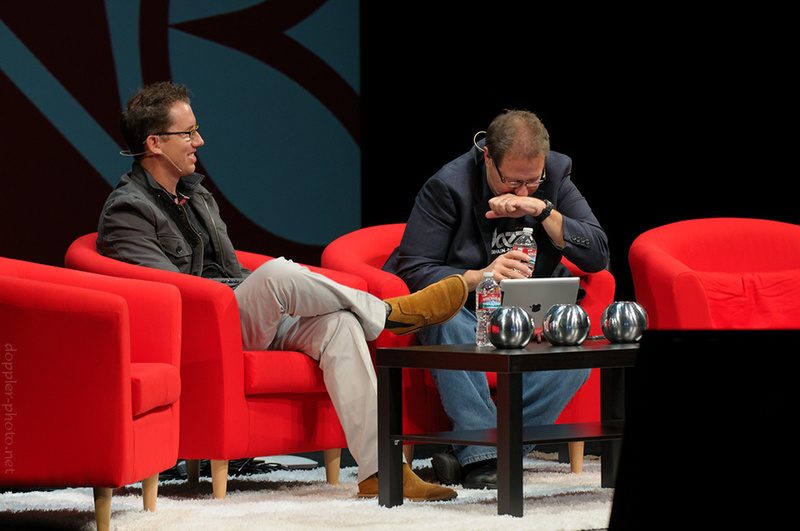 Moderator Scott Kelby nearly sprays a mouthful of water moments after hearing Trey Ratcliff's quip that "I don't have to impress anyone with the size of my camera" during an interview at the close of the Google+ Photographer's Conference. The Google+ Photographer's Conference was an amazing experience for me. I learned a bunch, I made some great friends, I got a couple nice images, and I had a dinner with a surprisingly diverse group of folks one evening — each of the 9 people was from a different country, and spoke different languages. Most importantly, though, I had a great time and thoroughly enjoyed myself. The participants and staff were friendly, and I even ended up as an impromptu model on a couple different occasions. In short: A++++++++++ Would Go Again!